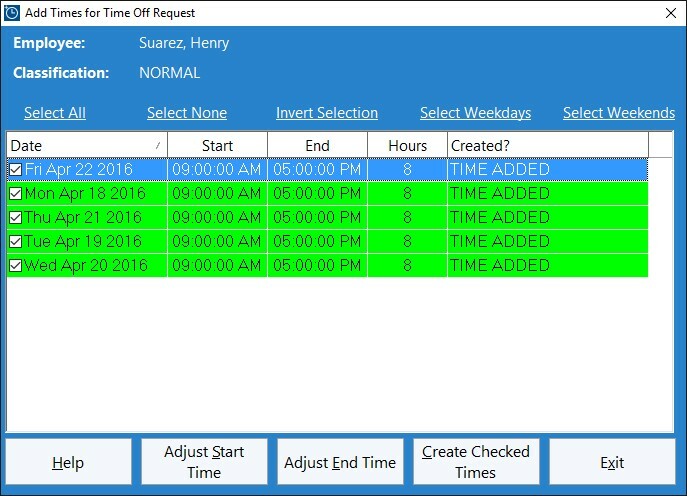 The Time Clock MTS employee time off request system allows employees to request time off for a date / time range. 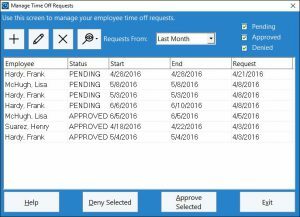 The administrator can then approve or deny those requests and communicate the approval (or denial) via the employee bulletin system. 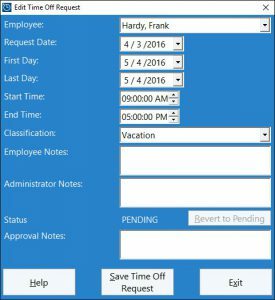 Time punches for approved time off requests can be created automatically by Time Clock MTS. For more information you should take a look at the Employee Time Off Requests help topic. This screen is used by the administrator to manage employee time off requests. 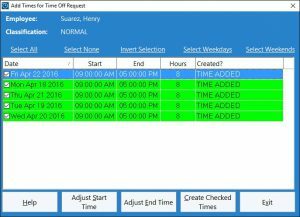 This screen is used by the administrator to add time punches for an approved time off request. This screen is used by the administrator to add a new time off request or edit an existing one. Employees use this screen to manage their own time off requests. 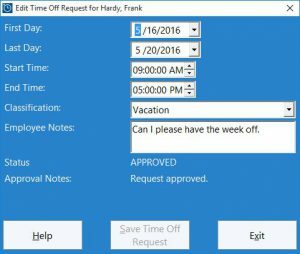 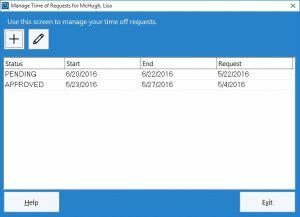 Employees use this screen to add a new time off request or edit an existing one.